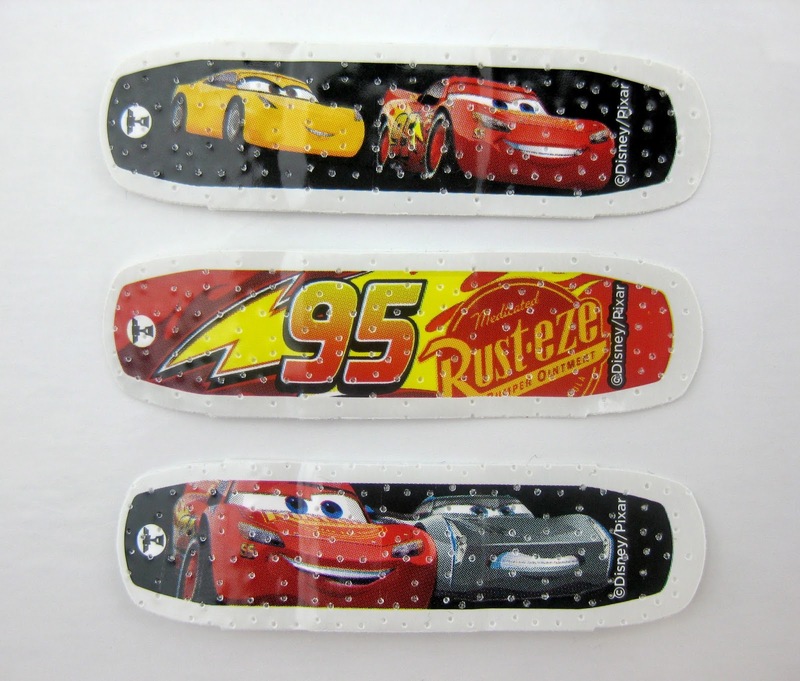 Just as I expected, Cars 3 Band-Aids have hit shelves not too long after my prediction! The early tie-in products/overall marketing patterns have been so consistent over the past few Pixar film releases that it's getting easier and easier to guess what kind of stuff will be released and when. 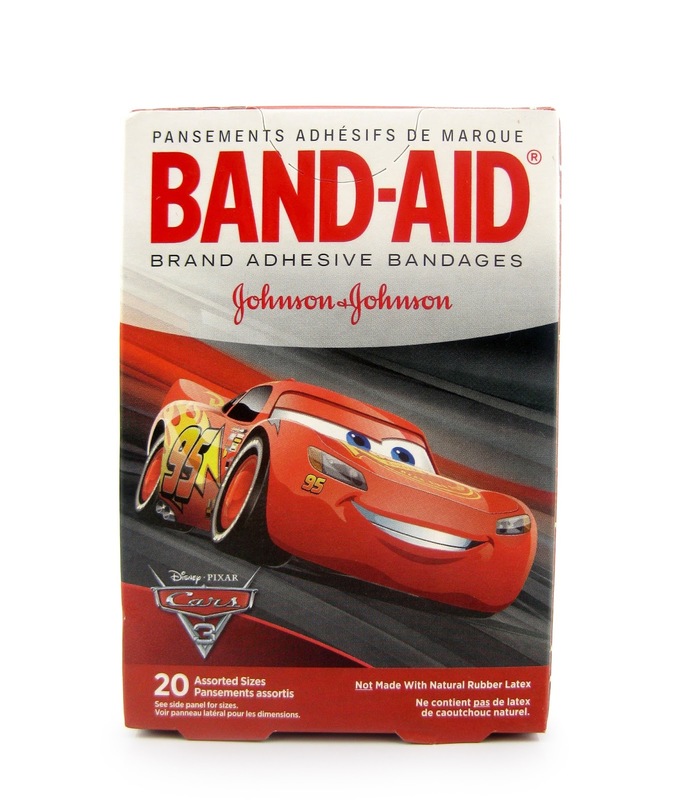 For example, what has come out so far for Cars 3 is almost completely mimicking what was done for Finding Dory last year (some food items, swim gear, Band-Aids, bubbles, balls, bikes, scooters, beach towels, etc...). It's seriously like deja vu, but with cars instead of fish! 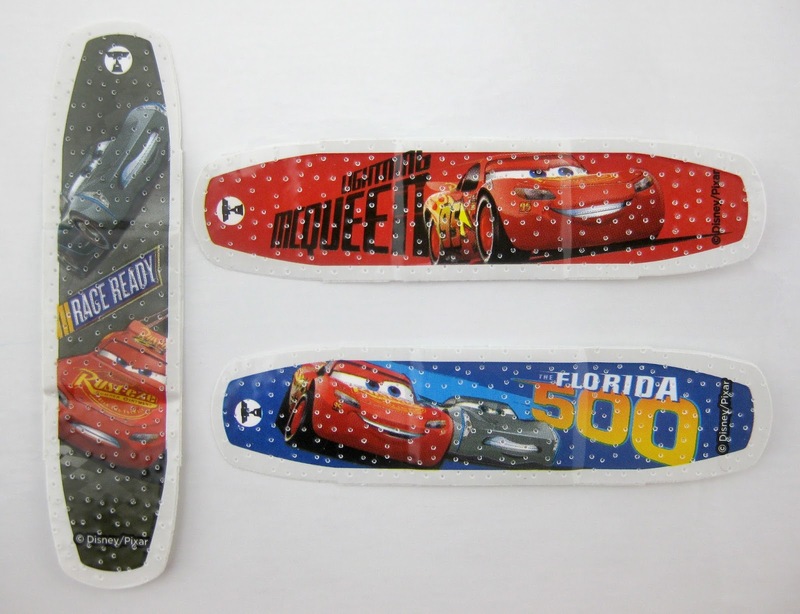 Just like with the previously released Inside Out, The Good Dinosaur and Finding Dory Band-Aids, this boxed set includes 20 bandages (assorted sizes) with 12 unique designs. 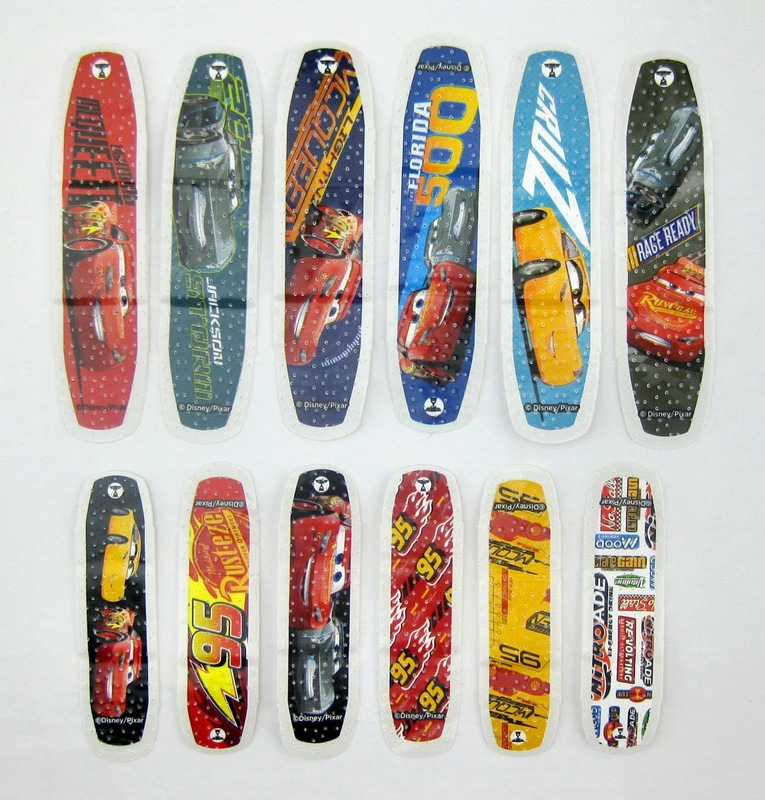 Lightning McQueen, as well as newcomers Cruz Ramirez and Jackson Storm, are heavily featured. 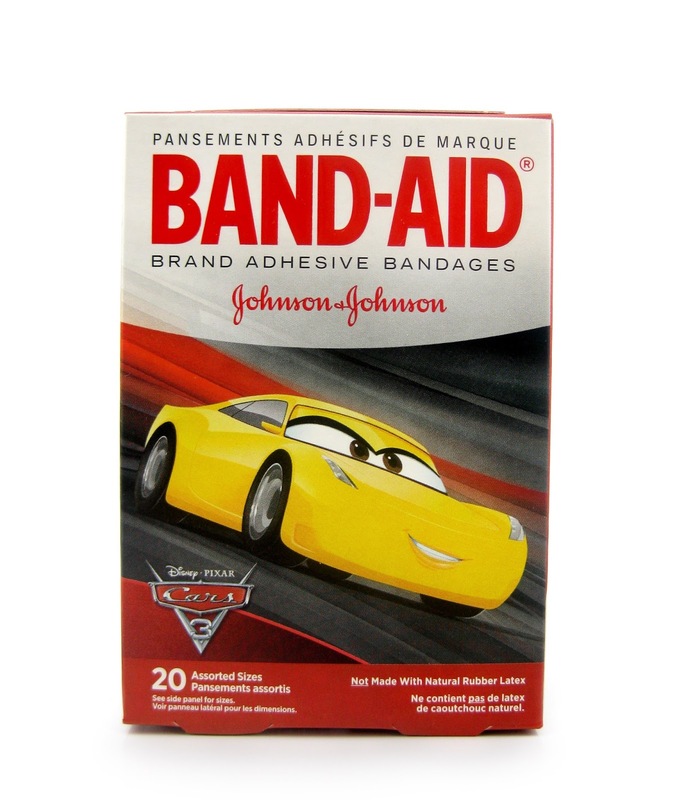 I get excited for these Pixar Band-Aid releases for a few reasons: first of all, it's one of the first things [in this case] Cars 3 related out there right now. Secondly, it's kind of become a tradition at this point. And lastly, they're just fun to put away for my future kids to use! The screen art/graphics on these are actually really neat looking. 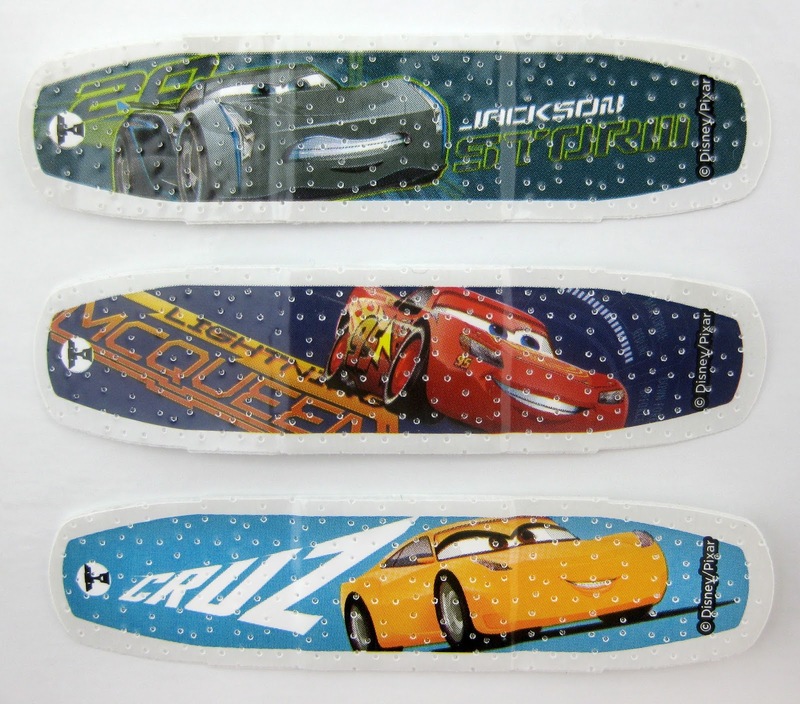 Cars fans will notice a few nods to the films, such as a design featuring a bunch of the Piston Cup racer sponsor logos (definitely one of my favorites here), a couple designs with McQueen's signature "95" and a reference to an upcoming race we'll see in Cars 3 called the Florida 500. 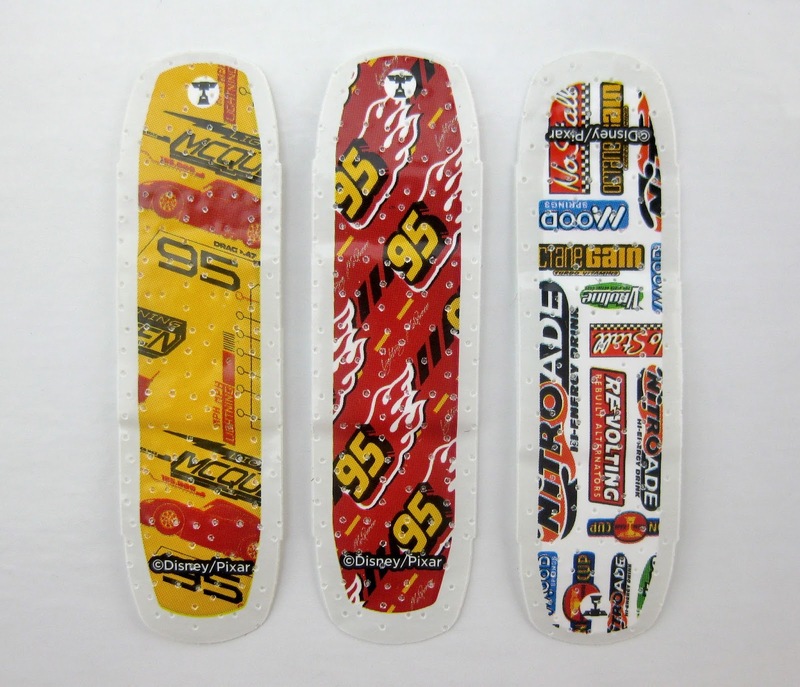 Be sure to race over to your local store soon if you're interested in adding these to your home's first aid box. You just might come across them! I personally found them at Walgreens for $3.99 (after searching around assuming they were released), but I'm sure they'll show up at Walmart and Target stores soon as well. 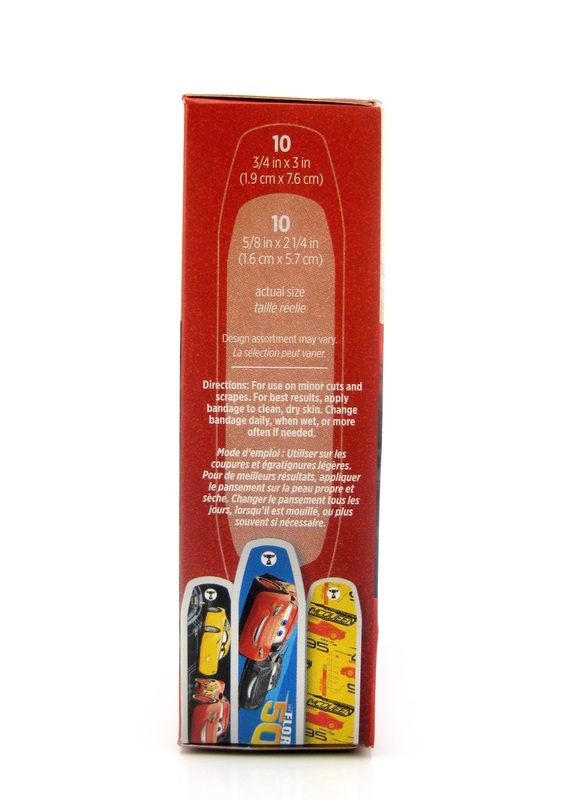 If your little ones are already fans of Cars then these are a must have! Ka-Chow! Let me know your thoughts in the comments below.